Product #18477 | SKU ACC-SLEEVE-5 | 0.0 (no ratings yet) Thanks for your rating! 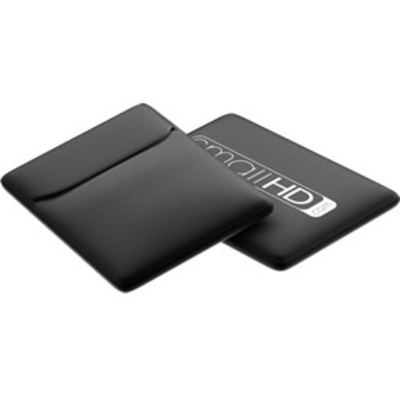 This black Neoprene Sleeve for DP4 Monitor from SmallHD is a custom-fit, padded neoprene sleeve that protects your field monitor from scratches and incidental impact during travel. It is a quick convenient cover for transport of your monitor in a gear bag. Box Dimensions (LxWxH) 6.5 x 5.0 x 0.25"